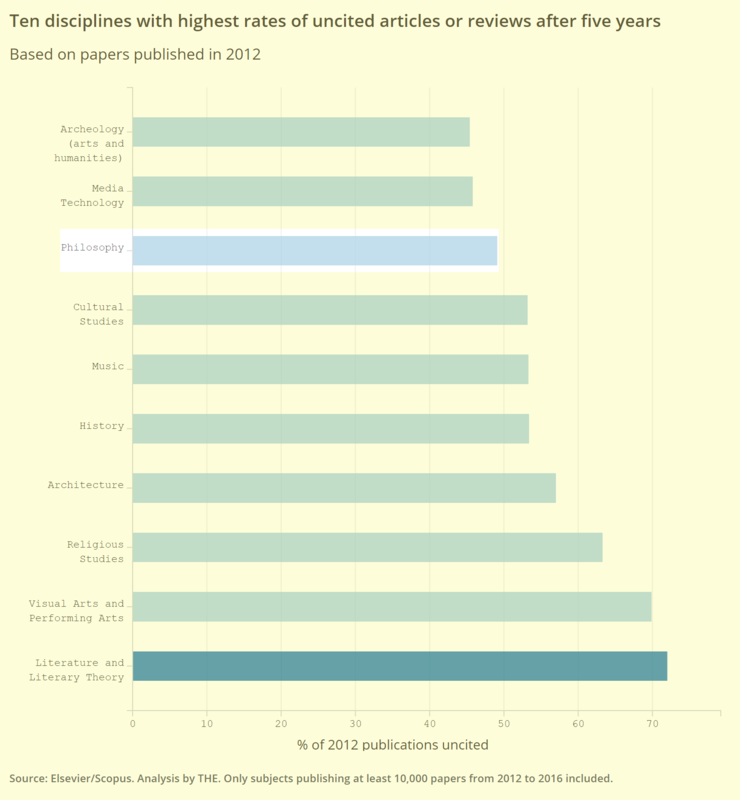 A discipline-by-discipline analysis of data from Elsevier’s Scopus database concering over 10,000 pieces of research published between 2012 and 2016 shows that a massive amount of scholarly work goes uncited, according to a report in Times Higher Education. Philosophy has the 9th highest “uncitation” rate—52.2% of work going uncited—based on a study of all types of work published in 2012. The highest uncitation rate on this study is in visual arts and performing arts, followed by literature and literary theory, and then pharmacy. Once the types of publications are limited to academic articles and reviews, philosophy becomes the discipline with the 8th highest uncitation rate—49.1%—with the highest rates belong to literature and literary theory, visual arts and performing arts, and religious studies. 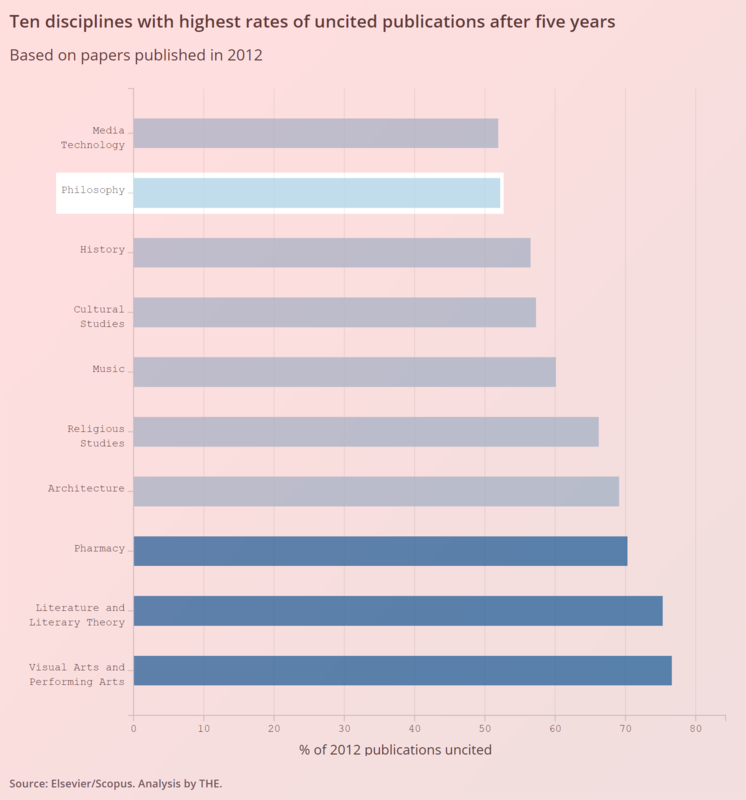 Disciplines in the sciences tended to have much lower uncitation rates.